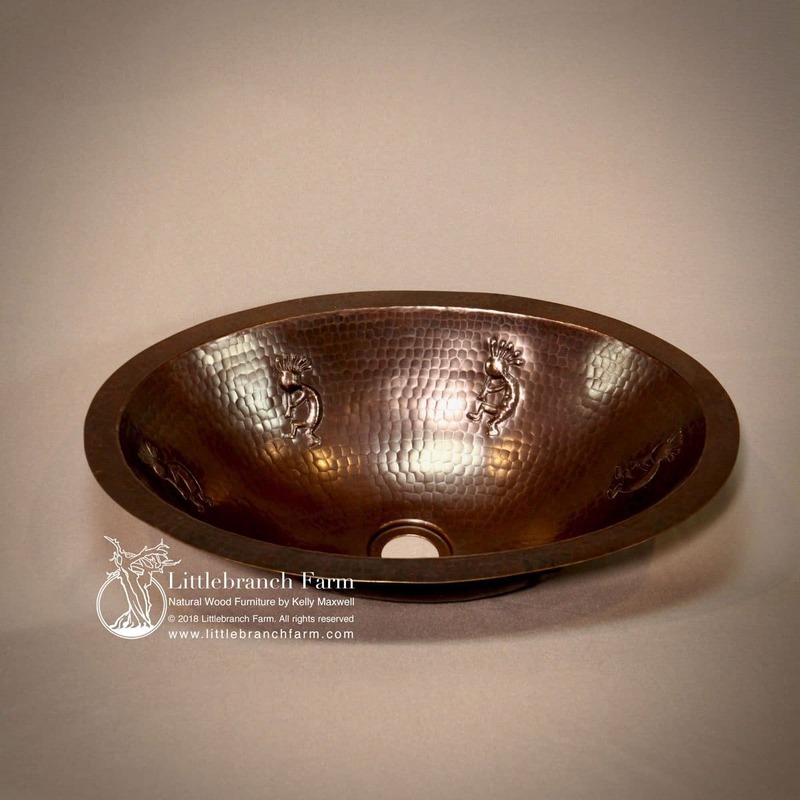 Kokopelli copper bathroom sink. 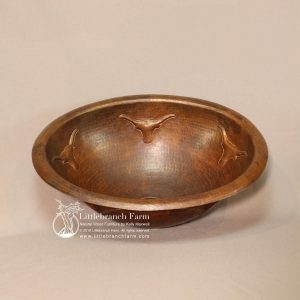 is available in 17″ round and 19″x14″ with a choice of a rolled rim or flat rim. 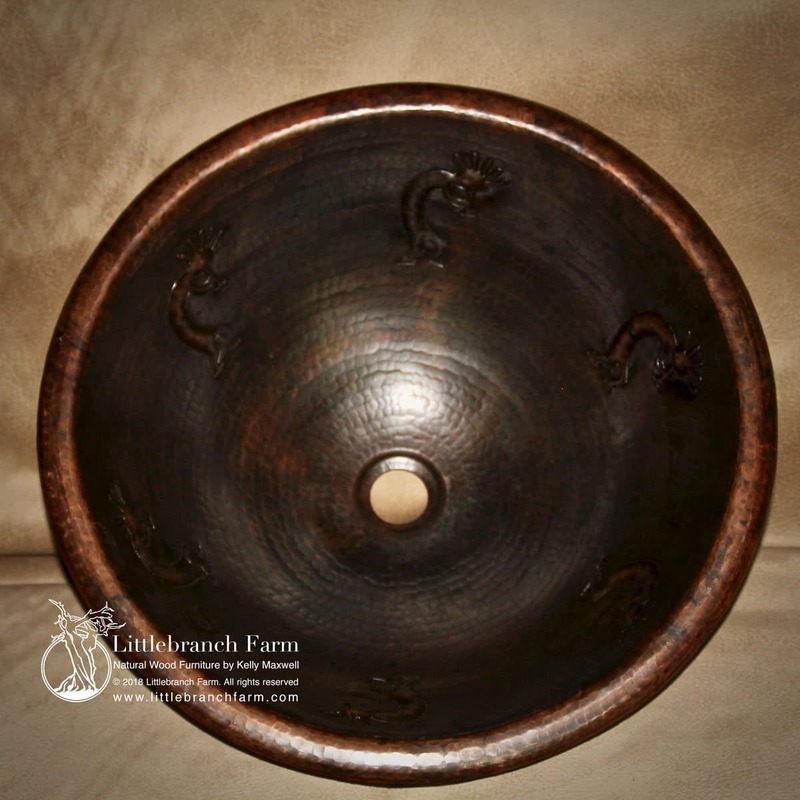 Kokopelli copper bathroom sink made from hammered copper with a natural copper patina. 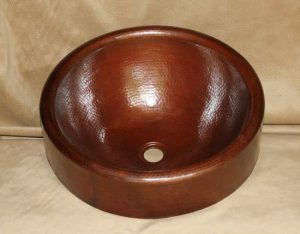 Also, available in oval and round with rolled rim top mount and under mount sink options. 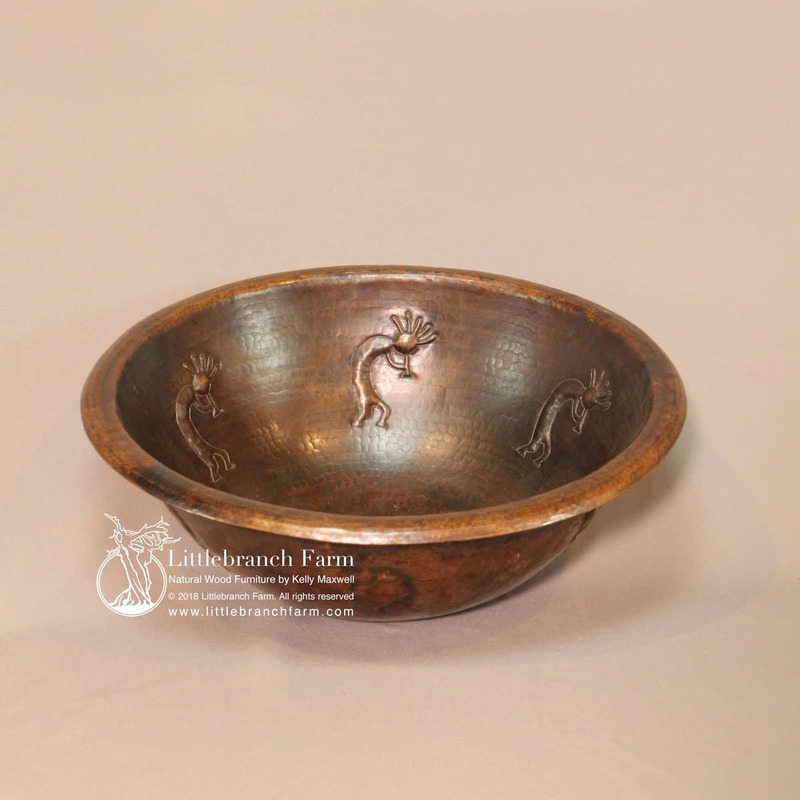 Kokopelli is a fertility deity who presides over childbirth and agriculture. Also, Kokopelli is a common design in southwestern decor. 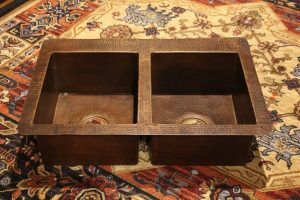 This style bathroom sink works great in a rustic vanity. 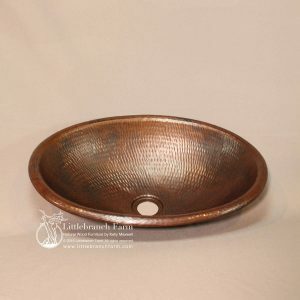 Natural copper sinks are durable and easy to care for. Making them must have items. Also, check out our southwestern fine area rugs made in the USA. They are a durable commercial-grade rug and complement any rustic home decor.